What is a secret you could share as to how you work in fitness into your already busy lifestyle? 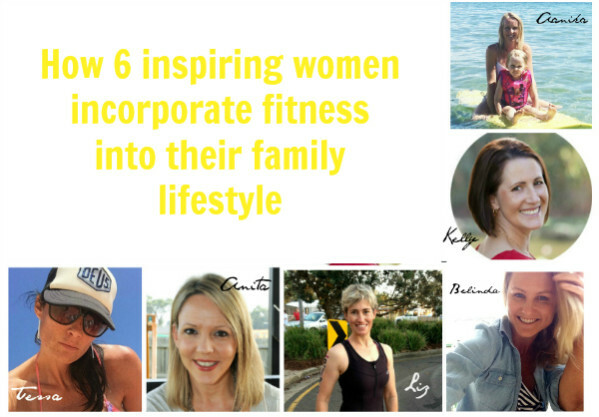 Perhaps through the help of others/ husband, a gym creche, working out in the park while your children play..
6 fabulously fit women share how they incorporate wellness into their family schedule. For our family, fitting wellness into our lifestyle has been about gradually creating healthy routines that allowed us to be achieving the health and wellness goals we are aiming for. We don’t have a lot of family help as some of our family are far away and other family members are still busy with work commitments, so we have had to find ways to make it work on our own. When it comes to exercise routines, this has changed over the different stages of our children’s lives. In the past, when my children were babies and I wasn’t comfortable leaving them with others, I would be ready to go for a run a few days a week as soon as my husband walked in the door from work in the afternoon. At another stage, I did ask some family members to help mind the children while both hubby (Olly) and I played Soccer for our respective teams on a Sunday afternoon, but I found this really time-consuming and taxing on all of us and I decided to give it in and do something else. When I felt that the kids were old enough, I joined a gym and would utilise the gym creche so that I could get a workout in. These days, I train two nights per week for Athletics and compete on a weekend. Olly minds the kids as it is currently his soccer off-season. When he starts training again, we will just have to alternate nights to make it work. We also stay quite active on the weekend and try to get to the beach at least once, sometimes twice on the weekend for a surf or SUP session. We just tag-team so one of us surfs while the other plays with the kids on the beach. It can be busy, fitting in both of our respective sports, but it gives us both that little bit of ‘me-time’ and the endorphins are fantastic for our mental health and overall wellbeing. We still make sure that we have a lot of family time with the children so they aren’t missing out on any quality time with us. 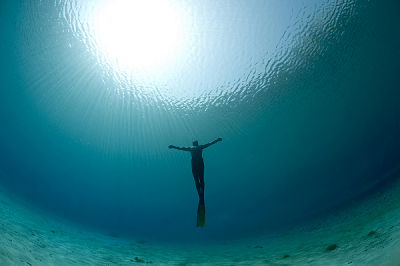 It can be a juggle and requires fine-tuning at times to keep the balance, but we do our best to make it work. One other thing that we have found vitally important is eating well. Eating well allows us to have the energy we need to do the things we like to do. There was quite a few years after the children were born that I really struggled with low energy levels and ill-health, but changing my diet has made wonderful improvements to my health and overall wellbeing. These days, we follow a mostly Paleo-style diet that includes a lot of fresh, natural foods and we feel so much better for it. A healthy diet is definitely the place to start if you want to live a healthier lifestyle. I make sure all these parts of productive each day. How DO I do it? I incorporate morning cardio with the family and sometimes its late afternoon HIIT training with the kids – depending on schedules. I use gym crèche for the weekends and sometimes school holidays. As a family on a Sunday over dinner we discuss the week ahead and what each person has on. This helps the children and us to be aware of the activities. It is then a family collaboration of what WE can achieve this week. We write it down and then everyone know what has be done and why. This system for our family has worked wonders for our children and has opened communication levels and lessened anxiety for everyone. We really try and show our kids a healthy lifestyle and lead by example with all of us eating the same meals etc (no making special stuff for kids) and wellness comes the same way. 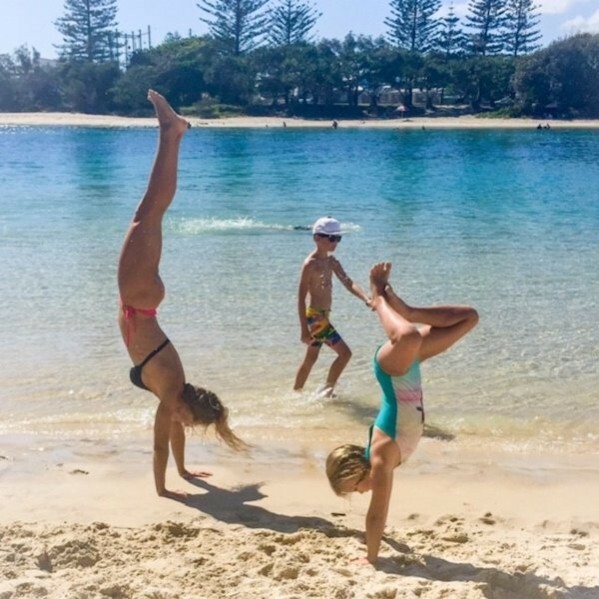 When the kids are around we are as a family we go on bush walks, go to the pool, have the kids ride their bikes to the beach and back whilst we run it or take our dog to the park. When I am solo during the week I obviously exercise when they are at school if possible but during the school holidays I will go for a run early before hubby goes to work or use the creche at my gym. One of my favourite things is doing fitness DVD’s at home with the kids.. it can be a mess sometimes and takes a little longer but it is so much fun and lastly we have TRX straps and boxing mitts and pads with skipping ropes at home so if I get desperate I do a circuit class with the kids.. again very silly but very fun… for them!. I used to be the most disorganised woman in the world, and then I had kids. We are big on routine here so after breakfast, the kids jump on their bikes and we head out for a morning walk/jog with the dogs. That usually takes an hour or so with a coffee and babycino stop along the way. My husband is a triathlete so we run a tight ship when it comes to training. If it’s not in the calendar, it doesn’t happen. My husband is very supportive of me keeping fit. He’s equally as passionate about health and wellness so that helps a lot. I’ve used a gym crèche a few times but with 3 kids now, it’s a little pricey. A lot of my training is done at home with the kids but I also get the opportunity to some weeknight/weekend runs or as I like to call them, my ME time runs. Each Sunday night, my husband and my training schedules for the week are put into the planner and if we miss our schedule for whatever reason, it’s bad luck. During the week I make it non-negotiable that I exercise in the morning before the kids get up (I work full time so the mornings and afternoons are my time to spend with them – I don’t want to be spending that time exercising). So I get up at 5am, have an hour to myself to have a coffee, drink some water, catch up on news, enjoy the quiet etc … then I run/row from 6-6.30am. When I arrive home at 6.30am I get the stuff for a green smoothie ready to blend, have a shower/get ready for work, and then get my daughter up at 7am. (My 5yo son is usually up already and sorting himself out.) I have a green smoothie for breakfast most mornings because it is fast and easy to make, has all the nutrients of a good breakfast, and it gives me time in the morning to have cuddles on the couch with my little ones before we all head off to work/school/daycare. 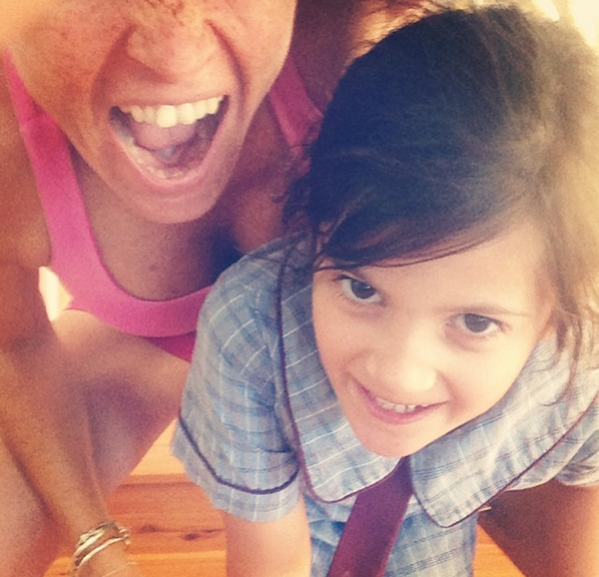 Did you catch what effective ‘go to’ workouts these fantastic women turn to in an earlier post?